Within three days on Crowdcube we raised almost £200,000. Within a week we raised 90% of our £500k target. Crowdfunder.co.uk, Sponduly.co.uk, Sponsume.co.uk, and WeFund.co.uk are just some of the leading UK Crowdfunding sites being used by many creative businesses to fund exciting projects and involve their users, customers and fans in their growth. More and more of our London’s artists and entrepreneurs are using this platform to support their projects. London Calling spoke to London restaurateurs Isaac Mchale of The Young Turks, Daniel Willis & Johnny Smith of The Clove Club about their upcoming crowd funding project St Vibes and London artist John Lee Bird who is using www.Sponsume.co.uk to fund his next exhibition. We also look at one of Crowdfunding’s major success stories Escape the City which used Crowdcube.com earlier this year to grow their London based start up into a global business. Three people synonymous with innovative dining in London are Mc Hale, Willis and Smith. Since starting their culinary journey, they have collaborated with restaurants including The Ledbury, St. John Bread & Wine and Bistroteque and are currently enjoying boundless high praise for their extended pop up restaurant "Upstairs at The Ten Bells". As the Ten Bells venture goes from strength to strength, plans are already in place for a new permanent restaurant in Shoreditch Town Hall. Renaming their company St Vibes, their aim is to raise £250,000 via CrowdCube offering investors a 25% stake in their new business. We chatted to one of the team, Daniel Willis about the project. Daniel Willis: "St. Vibes Ltd is our new company set up by Chef Isaac McHale, myself and Johnny Smith. We set it up to open and operate a brand new restaurant and bar in Shoreditch Town Hall London. We plan to raise £250,000 for a 25% share in the company to fund the project which is set to open in October 2012.We chose this way to fund the project simply because we wanted to attract like minded people to become Shareholders and it seemed like a very innovative and logical way to fund the project. It gives our friends, family, regulars and business professionals a chance to become part of it.Essentially there will be two bands of investment £1,000 - £4,000 and £5,000 plus, each with differing levels of “rewards”. The share offer is on a private web page, so you will need to register to view the whole 'pitch'. 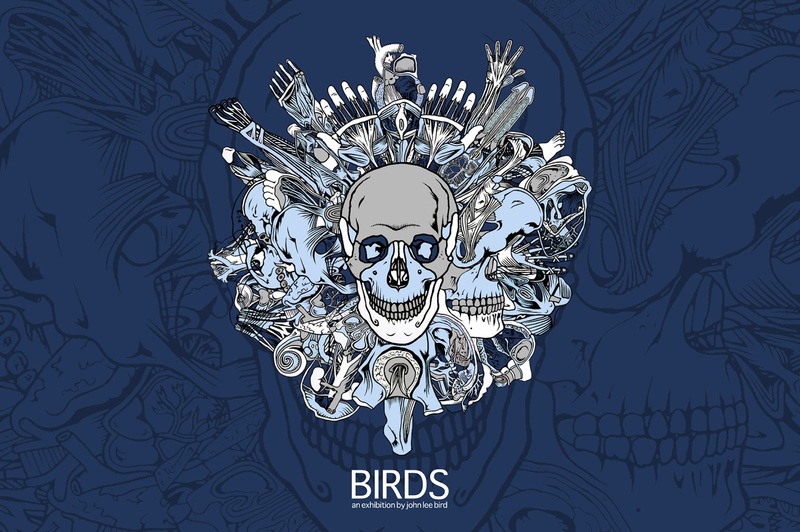 BIRDS is an exhibition by artist John Lee Bird. It will be staged at http://www.performancespace.org/ in London's Hackney Wick on Friday 12th and Saturday 13th October 2012 (with a private view for all sponsors on Thursday 11th October 6-10pm) The artist has chosen www.sponsume.co.uk as his crowd funding site. John Lee Bird: “Well my basic decision to use Sponsume was out of necessity! Arts Council grants are so difficult this Olympic year and the last time I was in a spin for three months trying to re-word things that have no words into some other worldly form of text. So crowd funding enables me to react with my audience ahead of the show, which means I get to explain myself a bit more thoroughly than I would with just the general press release and tipsy private view chats! It does create a whole minefield of panic when you have deadlines to meet for printing etc and you're left watching your target creep up slowly! 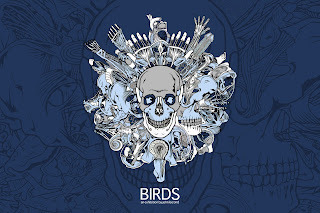 My current exhibition ‘Birds’ will feature 20 large paintings, 33 small paintings and 100 medical sculptures all exploring the urges we experience while attempting to get under the skin of a new love, the hidden places we desire to understand and unfold and by doing so, perhaps we discover more than we want to see. Escape the City is a corporate-focused networking startup from London, set up to help professionals leave their existing unfulfilling city jobs and make exciting career transitions. It began as a humble newsletter written by Dom Jackman and Rob Symington back in 2009, but when its readership grew to 60,000 within a year, both of them realised it was time to quit their management consultancy jobs and develop the business. Escape the City has now a growing community of more than 70,000 people who want to escape from unrewarding corporate jobs and find new ones, start businesses, and go on big adventures and has over 1000 successful job placements. As the world’s greatest sporting event draws to a close, the BT London Live prepares for a spectacular closing party in Victoria Park in Tower Hamlets, Sunday 12 August. Victoria Park is one of three iconic sites transformed for BT London Live, the others being Hyde Park (Olympic Games) and Trafalgar Square (Paralympic Games). All the live sporting action are on giant state-of–the-art screens, but if the games themselves aren’t enough excitement there are plenty of extra thrills from the BT Observation Wheel. With great views of the Olympic Park, to have-a-go sports including a badminton court, bungee trampolining, Zip Lines (yes that’s the one Boris got stuck on!) and Zorbing especially for kids. The Sun Pub (The Sun Newspaper is the official press partner of the events) offers shelter from the rain or sun, which ever occurs and another couple of full bars, a live music stage and various street food stalls offer lots for grown ups. For families with children looking to try out new sports or just a giant playground, Londoners wanting to catch up with the games or some live music acts (Soul 11 Soul, Alexandra Bourke and Norman Jay have already played Victoria Park and Blur will perform in Hyde Park on Sunday) these free events really are hard to beat..a bit like Usain Bolt then! Access to BT London Live in Victoria Park is FREE, you can just walk up and gain entry. There are a limited number of Guaranteed Entry Tickets still available for those who wish to ensure they don’t miss out on a particular day or their favourite sport. Pre-booked tickets for BT London Live provide guaranteed entry before 2pm. After 2pm, entry is on a first-come, first-served basis, but due to likely demand, may be subject to long queues. An order processing fee of £3.50 will be applied to each transaction of up to four Guaranteed Entry Tickets*. *Guaranteed Entry tickets are not available for BT London Live Trafalgar Square which offers walk in entry at all times, on a first-come, first-served basis, subject to capacity. The Closing Ceremony Celebration Concerts at Hyde Park on August 12 will be ticketed. Despite everyone catching Olympic fever, there are still lots of other diverse happenings in and around London this summer. One enduring city attraction is Priceless London Wonderground, the leafy carnival oasis at the foot of Embankment bridge. It rolled into town in May with it’s famous Udderbelly (the upside down cow–shaped purple tent!) and the decidedly more glamorous 500 seater Spiegeltent. For those of us unfamiliar, Spiegel tents were designed in 1930’s Germany and usually boast velvet and mirror clad interiors, surrounded by a decorative wooden outer structure. Set in the shadow of The London Eye, both the Udderbelly and Spiegeltent have added a splash of colour to London’s Southbank, Jubilee Gardens. We must commend the crews of both venues who have braved the harsh British summer to host nightly shows ranging from traditional family fun to saucy burlesque cabarets. Meteorologically speaking the site seems to be entering the calm after the storm, (fingers crossed everybody!) and is quickly becoming a haven for tourists and non tourists alike. Along with the glorious Spiegeltent, the site hosts a speakeasy style saloon, a secret Irish pub, street food restaurants and a band stand with flat screen TV’s where you can watch the Olympics from the comfort of a vintage deck chair. The whole space has the feel of a stylish outdoor festival, without the mud and the inconvenience of Port-a-Loos! July saw the purple cow pack up and make its way to The Edinburgh Fringe, leaving more breathing space for the elegant Spiegeltent to re launch the site. It spread its elegant wooden decking, creating a vintage inspired travelling carnival, complete with freak show and vintage Coney Island rides. The sideshow hosted by The Royal Family of Strange People have nightly shows filled with freak show performances and viewing rooms full of oddities like taxidermy ‘misshapes’ (including a two headed lamb) dating back to Victorian times. In the fairground area, at over 60m high, you can take your seat on The Starflyer and view London like never before...or ride the vintage Cyclone Rollercoaster, a stunning replica of the legendary Coney Island ride. The grand Spiegeltent will host an inclusive range of shows up until 30th September. Australian circus style cabaret show Cantina is the main feature at Priceless London Wonderground with beautifully styled lighting and costumes, it’s versatile cast of performers use physical human skill instead of smoke and mirrors to create their unique performances. Cabaret favourite Camille O Sullivan will do her second run of shows August 28th to September 1st. London’s longest running cabaret crew The Tassel Club Cirque du Cabaret will perform two gala events in September. Their shows on Friday September 7th and 21st will feature stars from Berlin, Japan and Columbia, performing a mix of circus and burlesque. There will even be an appearance from a hula hooping Elvis… you heard it here first! An Edinburgh Festival favourite Fitzrovia Radio Hour will perform on Saturday 29th September. The carnival atmosphere and sundry of nightly shows should be reasons enough for you to venture into Priceless London Wonderground but add in the eclectic clash of hipster and tourist audiences lounging around on vintage deck chairs, free outdoor performances including aerial shows and in the fairground, the muted elated screams of people crazy enough to take a night time fair ground ride 60 meters over the Thames and you would be crazy to miss out.